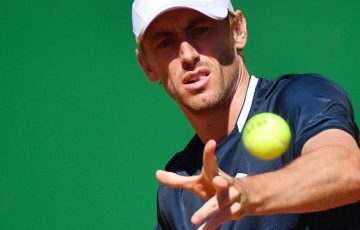 Having wound back the clock seven years, the street fighter in Lleyton Hewitt is vowing to continue punching above his weight in Monday’s Australian Open showdown with undisputed champion of the world Novak Djokovic. 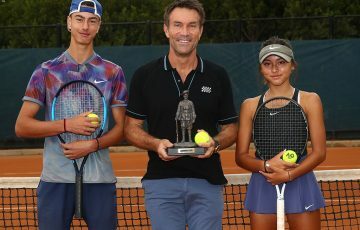 Hewitt is a raging underdog to knock out the powerhouse Serb, but has promised to come out swinging after rising from the canvas to spectacularly revive his flagging career at Melbourne Park. 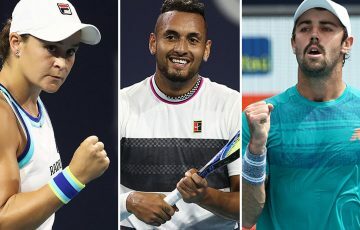 After just one ATP match in four months, the battered veteran has slugged it out for more than nine hours to reach the second week of the Open with an improbable series of wins over Cedrik-Marcel Stebe, Andy Roddick and Milos Raonic. Hewitt’s against-the-odds triumphs over Roddick and Raonic were his first back-to-back grand slam successes over top-25 rivals since his glorious run to the 2005 Open final. “A couple of months ago, I didn’t know if I’d be able to play,” Hewitt said. 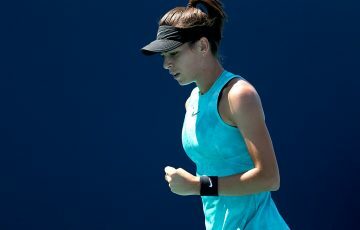 “I don’t think a lot of people would have given me a lot of hope when the draw came out to be in the fourth round going into the second week. 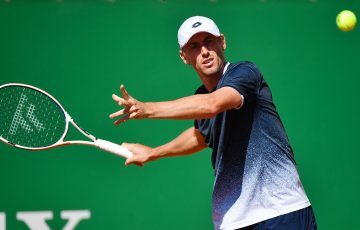 The soon-to-be 31 year-old will continue laying it all on the line against Djokovic, the defending champion who is bidding to join Rod Laver, Pete Sampras, Roger Federer and Rafael Nadal as only the fifth man in professional tennis to snare three consecutive majors. “Yeah, he’s the No.1 player in the world for a reason at the moment. 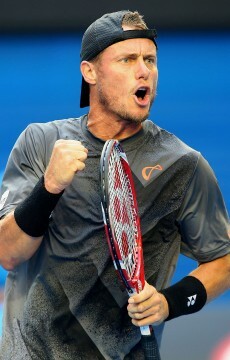 I’m going to enjoy going out there and having a crack,” Hewitt said. Win or lose, the born-again Hewitt is guaranteed a bumper rankings rise from No.181 to back inside the top 140. 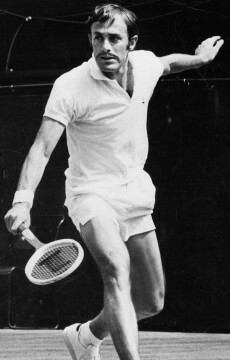 “Isn’t this great,” John Newcombe said on Sunday. “It will give him a greater self-belief and that sounds funny for someone who has been No.1 in the world. “But when you go through five or six years and you just keep getting injured and come back and you’re always playing against guys you’ve never seen before, it’s very tough. Djokovic has beaten Hewitt in four of their five previous meetings, including at the same stage of the 2008 Open after the South Australian was forced to back up a day-and-a-half after outlasting Marcos Baghdatis in their famous 4.34am finish at Rod Laver Arena. Hewitt somehow led Djokovic by a service break in each set before gallantly falling in three as the Serb swept to his maiden grand slam title in Melbourne. 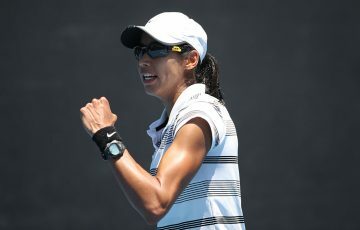 Hewitt won their only other match on hardcourt, for the loss of just six games at the 2006 US Open when Djokovic was only 18, while Djokovic downed Hewitt in four sets the last time they clashed, in the fourth round at Wimbledon in 2010. 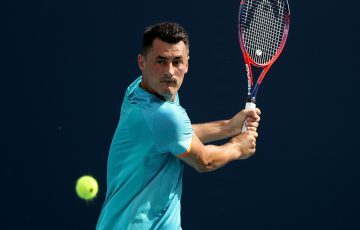 The top seed conceded only 10 games in nine sets in his stroll through the first week of the championships, but admitted he’d also been impressed by Hewitt’s run. 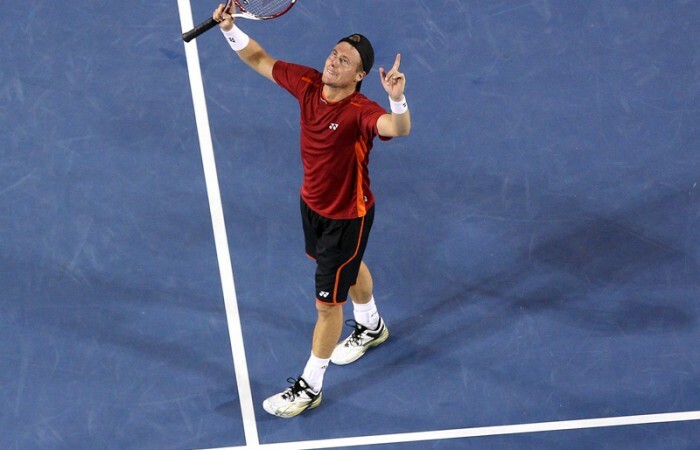 “Lleyton has been playing some really good tennis,” Djokovic said.